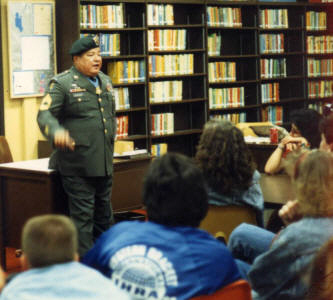 Title: Little Brother - Roy Benavidez as role model for America's youth. 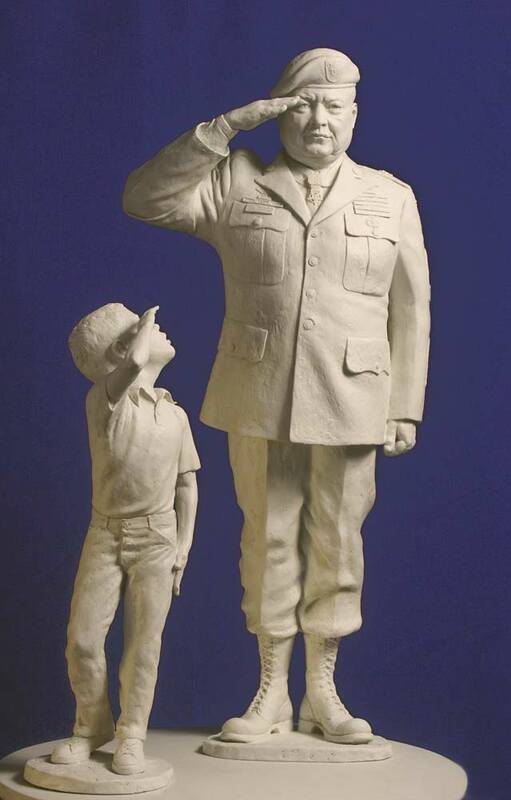 One half life size model for Roy Benavidez Memorial. 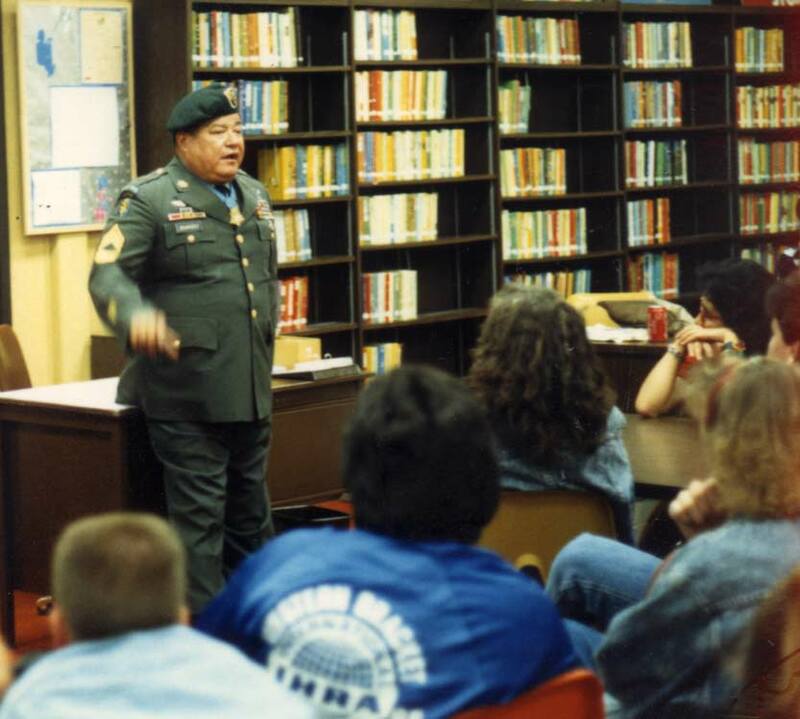 Photo Below: Roy Benavidez speaking with students. Photo courtesy of Daniel Castillo.